BlogPet CareThe Mental Health Benefits of Owning a Dog. The Mental Health Benefits of Owning a Dog. According to several measures, mental health in the United States is facing a steep decline, and there is no indication that this trend will reverse itself. The U.S. National Library of Medicine lists several reasons for this alarming downward trend, longer life expectancy and increased academic expectations being among them. More importantly, untreated mental health deficits and disorders often result in criminal and other deviant behaviors. 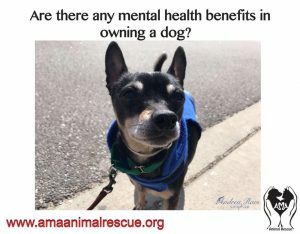 With fewer resources available for those struggling with issues such as anxiety, depression, and schizophrenia, dogs should be considered as a means to bettering our mental selves. Why All the Alarm About Mental Health? It’s no coincidence, according to Think Progress, that a decline in mental health-related services has corresponded with a rise in the prison population. APA Psycnet explains that the reasons for mental health disorders are all over the map. As children, our home environment, parents’ genetic mental health history, poverty, and poor physical health often increase rates of mental health disorders. In adults, work and economic concerns, marital problems, and poor interpersonal skills are likely to cause deficits in mental health. If you’ve noticed all of the frenetic, frenzied behavior on college campuses lately, it may not surprise you that the college-age demographic is particularly plagued by mental health problems. It is a time of identity development and serves as the crossroads between adolescence and adulthood. NBC News found that college students are being increasingly burdened by mental health issues. And even though college students have been found to report less stigma about admitting their mental struggles, they by and large still do not seek help. 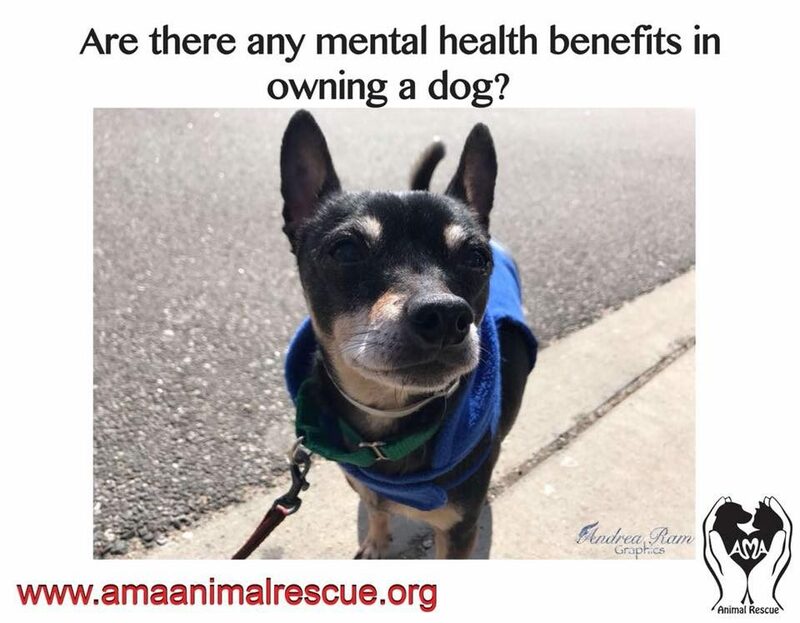 These young people, and even their older counterparts who are facing mental struggles of their own, should consider that a dog can help ease their mind, even if it is not the end-all, be-all of mental health treatment. For people who experience anxiety, depression, schizophrenia, or even merely old age, knowing dogs’ benefit to our mental wellness is important. Psychiatry Online found that patients with psychotic and mood disorders felt reduced anxiety as the result of interaction with therapy dogs. Dogs are cute and cuddly, as we all know. But most of us don’t realize that a dog can be the equivalent of medication for a struggling mind. This sums up why dogs are so beneficial to those with mental health issues, including those who struggle with addiction. If somebody can find a trained therapy dog, that is ideal. If not, pick a breed that you are not allergic to, and one whose energy level fits your lifestyle and work schedule. Puppies and older dogs are often seen as pets, and pets only. While they certainly are that, to those with mental health problems a dog can serve as much more. The companionship and non-critical, stress-free company that a canine provides has been proven to reduce anxiety. Whether you are anxious, depressed, in recovery, or facing even greater mental hurdles, consider that owning or just routinely interacting with a dog could do wonders for your wellbeing and sense of sanity.